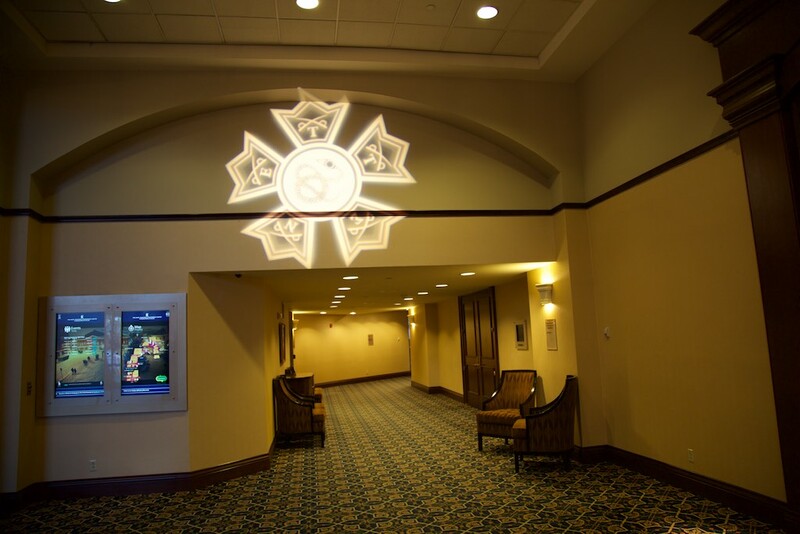 The Delta - Latest News - College of Chapters 2016 Day One - Sigma Nu Fraternity, Inc.
1) Participants begin arriving at the Hotel Roanoke and head to the registration table Sunday morning. 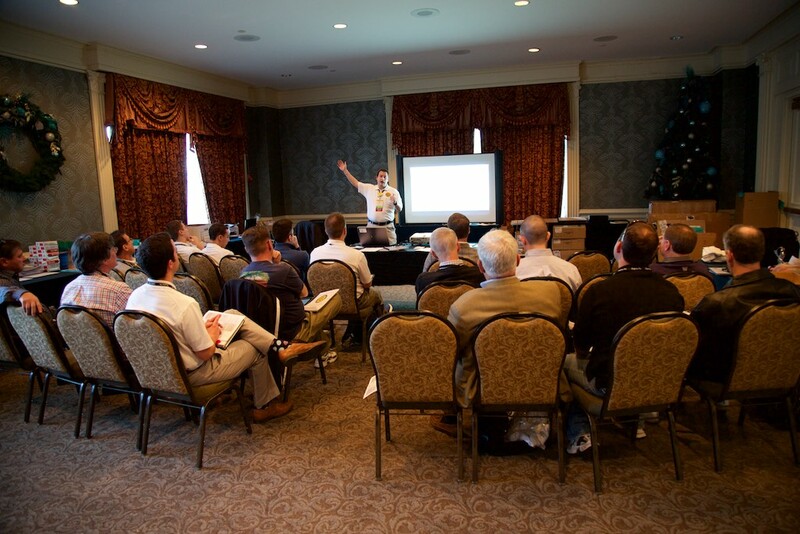 2) Director of Leadership Development Scott Smith (Central Arkansas) conducts a final curricululm briefing with the College of Chapters Faculty comprised of alumni volunteers and Fraternity staff. 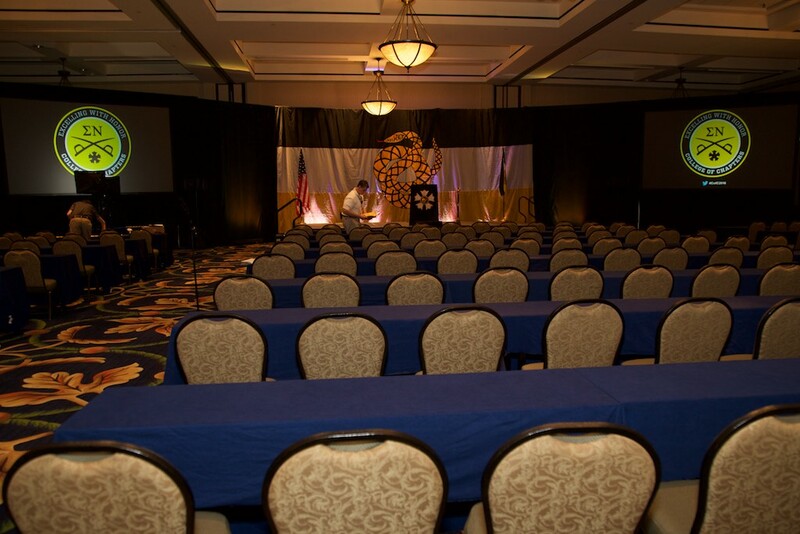 3) The convention hall begins to take shape in preparation of hosting over 200 attendees for two of the three keynote speakers. 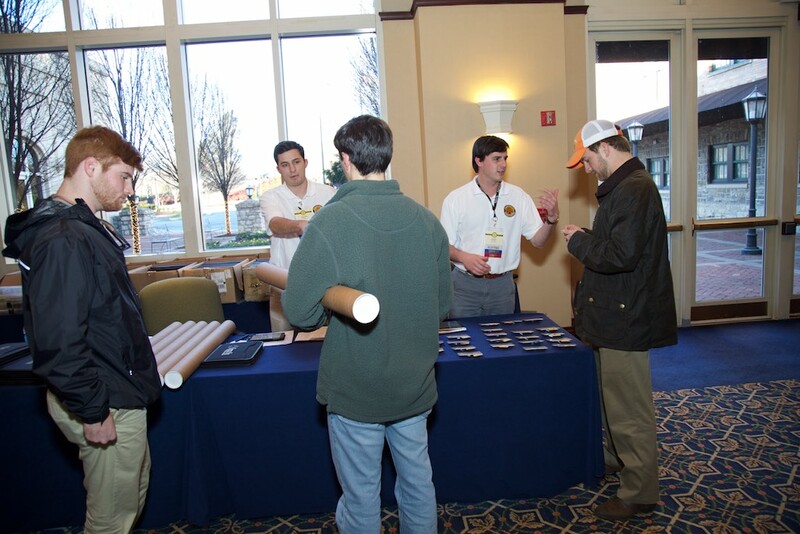 4) Participants continue to arrive Sunday afternoon and stop by the registration table to receive all of their materials. 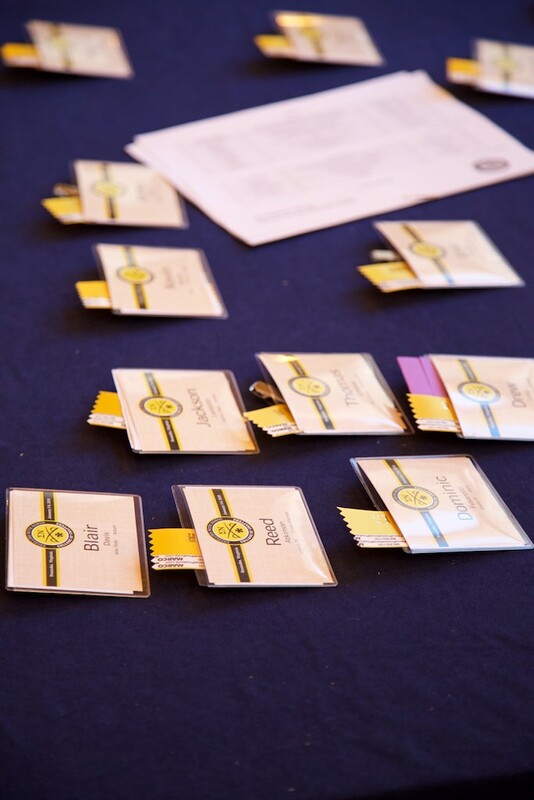 5) As the day goes on the number of nametags waiting to be picked up by participants dwindles down. 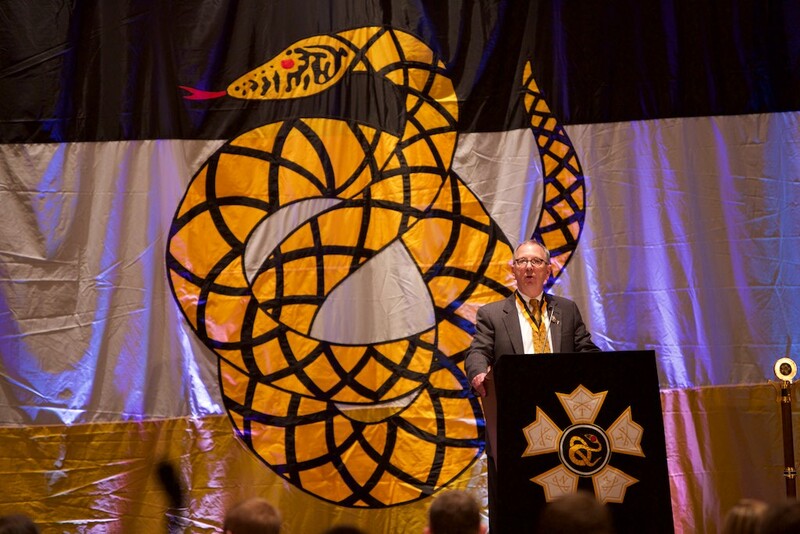 6) The Badge of Sigma Nu at the entrance to the convention hall. 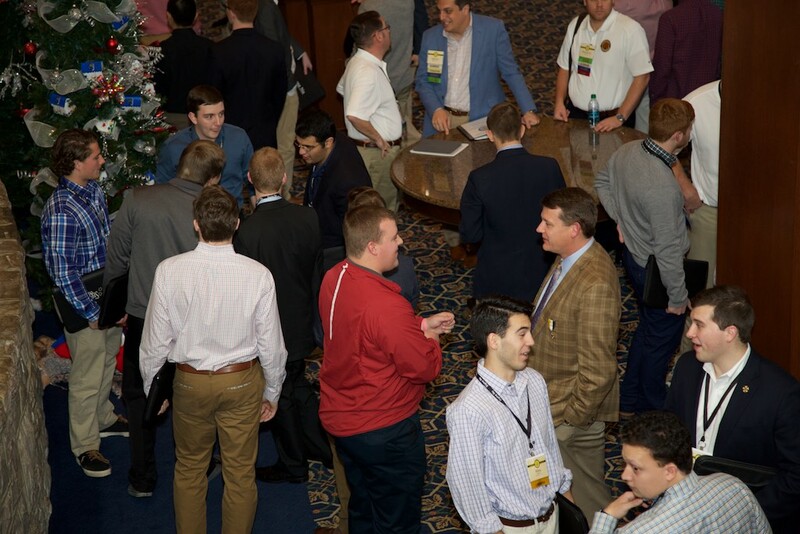 7) Participants gather outside the Roanoke Ballroom before dinner. 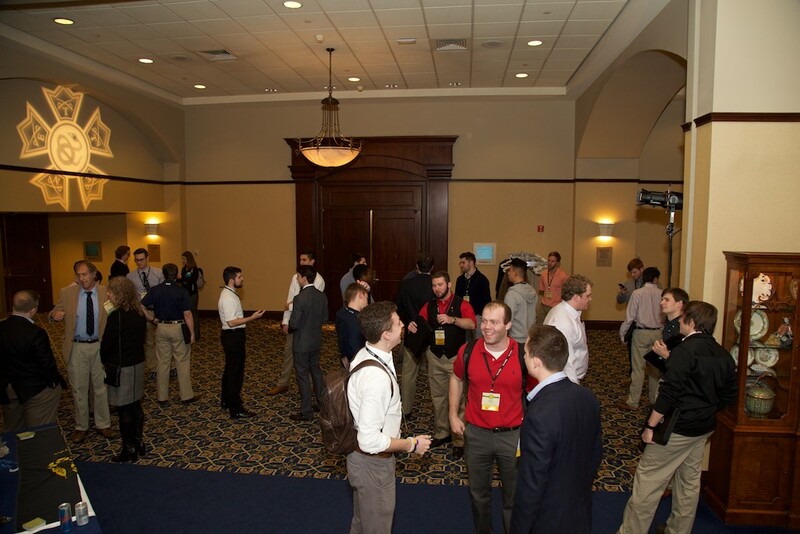 8) Alumni and undergraduates find some time to meet and catch up prior to dinner. 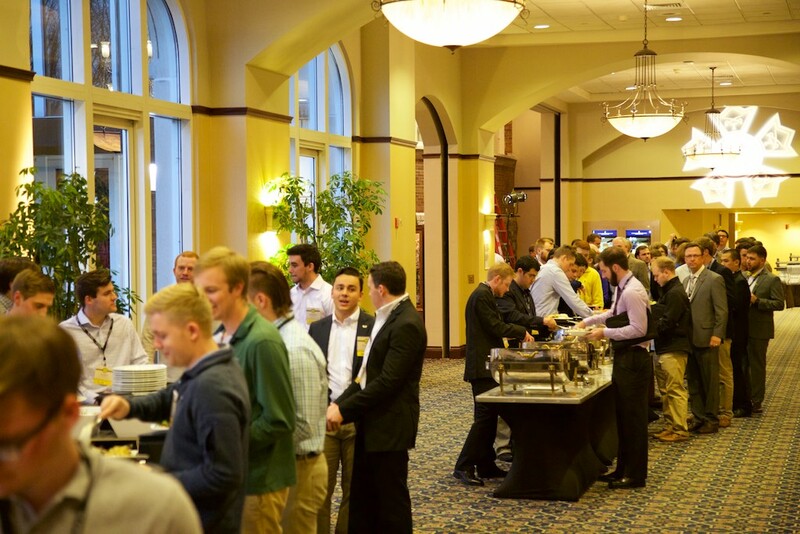 9) Attendees gather for their first dinner at of College of Chapters outside of the Roanoke Ballroom. 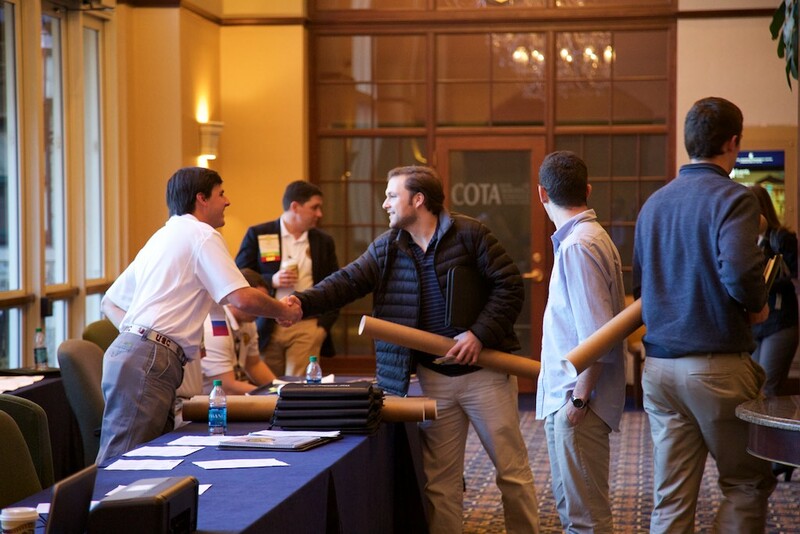 10) Regent Joe Francis (Oklahoma State) provides opening remarks Sunday evening which included the presentation of awards for the 2014-2015 academic year.